Acknowledging hard work and good performance is a key strategy for keeping learners and teachers motivated. This strategy is key to ensure children feel valued. 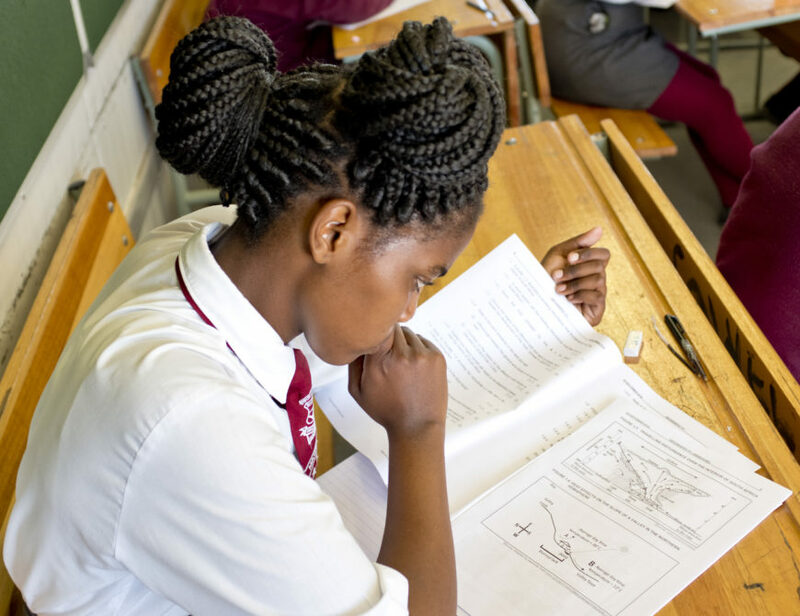 Many teachers across South Africa report a growing alienation from their students. I recently sat with a teacher who felt desperate. Her students just didn’t seem to care and neither did some of their parents. Incidents of intimidation and violence were on the rise, she said, an assertion supported by the 2016 Progress in International Reading Literacy Study (PIRLS) which found that over 40% of our children experience bullying every week. Teaching is getting harder. Tough home circumstances play out in the classroom. A globalising youth culture exposes our children to thoughts and ideas that we never encountered growing up. Antisocial networks exploit the normal predisposition of teenagers to rebel. So how should teachers respond? The natural instinct is to clamp down and punish any ill-discipline. Some schools even favour the zero-tolerance approach to misbehaviour first introduced in the United States during the Reagan era, even though it has been shown to further disadvantage troubled students without improving school safety or performance. Often the emotional and physical abuse experienced by these children in their homes gets reinforced through the school system. Even in more liberal schools, disciplinary threats can become the default mode of interaction between teachers and students. Certainly, there must be bounds of acceptable behaviour, but in trying to create a conducive environment for teaching and learning, many schools end up doing exactly the opposite. A time-worn, knee-jerk response is a call to restore the value system that each successive generation perceives it somehow failed to convey to its kids. Social values are crucial, but they are best learned through example. Children cannot be taught values if they don’t feel valued themselves. Every teacher will tell you that an emotionally upset child cannot learn properly, but it is only in the last decade or so that we have fully come to appreciate the fundamental link between emotion and learning. Historically, the frontal lobe of the brain has been regarded as the site of rational thinking, while the limbic system at the base of the brain is viewed as the generator of emotions. If that were the case, one could possibly forgive a teacher for telling a child to leave his problems at home and concentrate on his schoolwork. However, in carrying out the key cognitive functions of learning – paying attention, creating memory, and making decisions – the frontal lobe and limbic system act as one. The ability to learn is nurtured by love and stifled by fear and anxiety. The educationist Mary Immordino-Yang and neurologist Antonio Damasio describes these processes of learning as ‘emotional thought’. Yet, talk of emotions is typically relegated to the life-skills curriculum and it is rare to find a school that has really integrated emotional thinking into its pedagogical design. How can this be achieved? First, teachers need to allow children’s feelings to surface in the classroom, in a gentle and supportive way. Some schools have gone as far as transcendental meditation, but not everybody is comfortable with that. In their own way, every teacher should create the space for children to process their emotions as they learn. Second, teachers need to recruit parents and caregivers of children as active participants in education – recognizing that their primary role is to provide love and support and not only to act as assistant homework coaches. Arguably, reading a book together is more beneficial than parents tearing their hair out on topics they barely understand. Third, schools need to commit to building a sense of real and imminent possibility in the lives of every learner – not just the high achievers. Only 40% of our children ultimately reach and pass matric, yet all of them must somehow find their way through life. If children are affirmed for their individual strengths and encouraged to explore even small opportunities for personal growth and development, they are more likely to live productive lives and steer clear of crime and other social harms. Principals and teachers may rightfully cherish their top academic and sporting achievers. But the true test of an educator is whether every single child leaves the school each afternoon feeling loved and valued. This op-ed first appeared in the Cape Times on 08 April. Howie, S.J., Combrinck, C., Tshele, M., Roux, K., McLeod Palane, N. & Mokoena, G.M. (2017). PIRLS 2016 Progress in International Reading Literacy Study 2016 Grade 5 Benchmark Participation: South African Children’s Reading Literacy Achievement. Pretoria: Centre for Evaluation and Assessment.